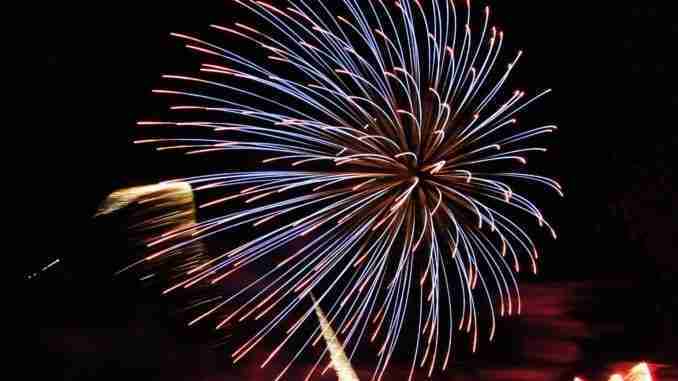 Des Moines, Iowa – Thursday was the first day fireworks may legally be sold in Iowa, but many retailers are waiting until later in the month to start selling bottle rockets, Roman candles, and other “consumer-grade” fireworks. A fireworks business based in Nebraska plans to open 55 temporary locations in Iowa to sell fireworks three weeks from now. Vince Bellino of Bellino Enterprises says his company already operates 130 fireworks stands in South Dakota, Kansas and Missouri as well as Nebraska. Bellino’s business has “partnered” with Hy-Vee and Fareway and some of their temporary fireworks sales locations will be near grocery stores. The new Iowa law allows fireworks sales from now through July 8th at PERMANENT structures. Sales from TEMPORARY structures, like tents, may begin June 13th. Bellino says his company’s stands may open as late as June 25th. In his home state of Nebraska, fireworks may be sold from tents over just a 10-day period compared to Iowa’s new 38-day period for summertime fireworks sales. There’s another sales period in Iowa later in the year from December 10th through January 3rd, but fireworks sales may only be made from permanent structures then.